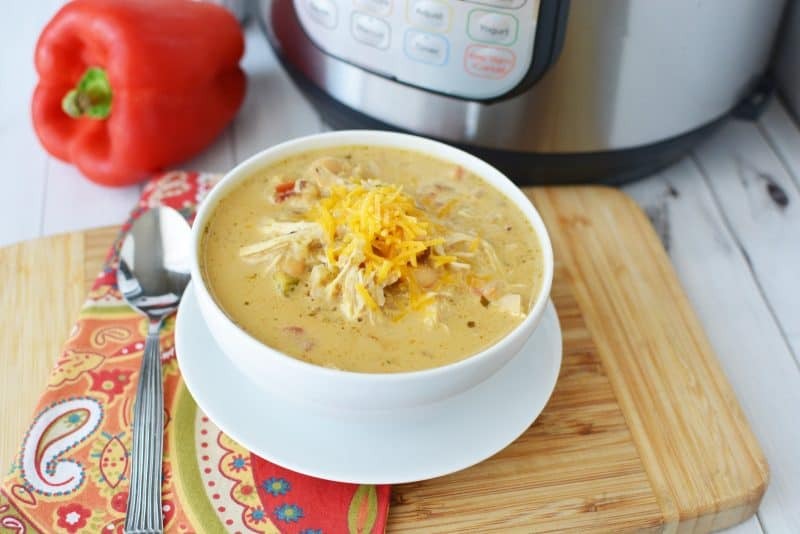 We partnered with Harmony Books to share this Instant Pot Creamy Verde Chicken Chili recipe post! 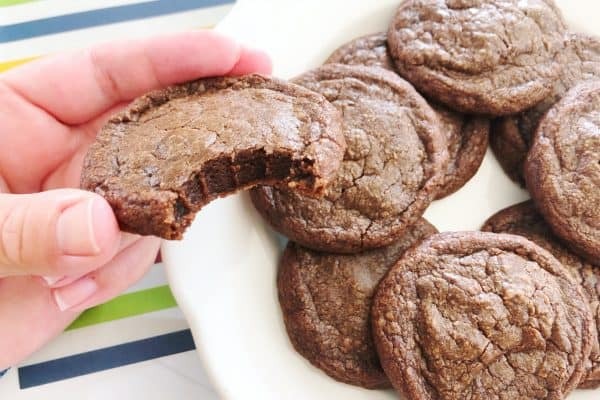 Guest contributor Kari made this amazing Trim Healthy Mama recipe! Now, I think you guys know by now that I am in love with the whole Instant Pot idea and I use mine a LOT. My husband was skeptical for a while but I overheard him saying how tender meat comes out using the instapot and I felt so proud. Finding new recipes to feed my family isn’t always easy, at least not finding ones we will all enjoy! It can be a challenge to cook for the whole family at times, as many of you can relate to. Especially with today’s crazy family schedules, we really try to put emphasis on eating together as a family. If we aren’t able to, one of us makes a point to sit and eat with whichever kid had a conflict. But thankfully, MOST days we are able to sit and spend dinner time together, around the table. No devices allowed, no books, magazines, etc, either. Just us. These same rules apply when we have guests for dinner. I feel like it gives us a good foundation and keeps us in the habit of putting emphasis on family togetherness. I know this isn’t possible for everyone, but when we’re able to, we do it. I don’t want distractions with the internet or devices or books coming into family time. Now, we allllll know I am overweight. If you have seen me in person, you know this. I know this. It’s been a battle most of my life and it’s really really easy for me to fall quickly into bad habits with ingredients — and snacking. While the snacking is all on me, I have found that looking to recipes that are already using healthier ingredients keeps me on track- and of course I notice I feel better overall when I’m using healthier ingredients. We all do. So when opportunities come up to check out new cookbooks that have better for you recipes…well, it’s the perfect chance for me to try new things! Today’s recipe using the instant pot is straight out of Pearl Barrett and Serene Allison’s TRIM HEALTHY MAMA’S TRIM HEALTHY TABLE, published by Harmony Books and available in stores September 12, 2017 . From the bestselling authors of the Trim Healthy Mama Plan and Trim Healthy Mama Cookbook, a new cookbook for the whole family! The Trim Healthy Mamas have helped hundreds of thousands of women lose weight and live healthier lives with their bestselling cookbook and eating plan and now they are ready to help the entire family! After experiencing incredible life transformations of their own, readers want to be able to help their families feel better and trim down, too. Trim Healthy Table is just the answer. It bursts with over 300 family friendly, delicious and trimming recipes, along with practical advice on how to healthfully nourish your family without going insane and chaining yourself to the kitchen. 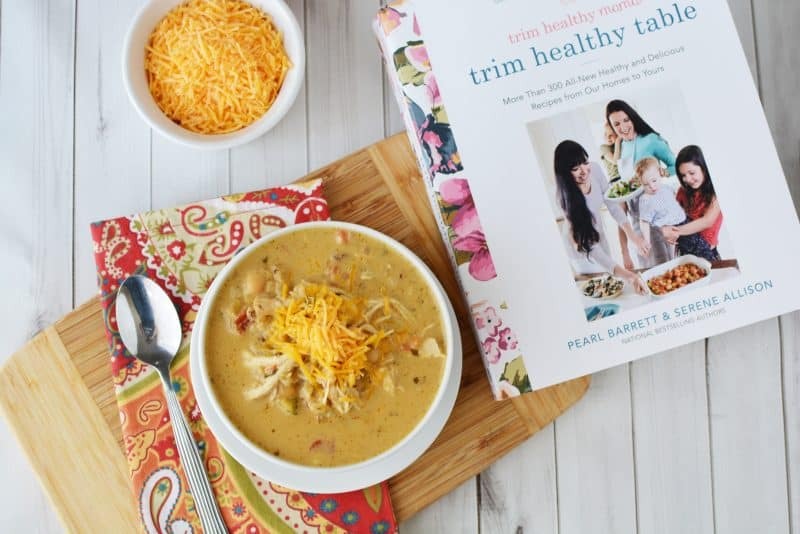 Bestselling authors and sisters Serene Allison and Pearl Barrett have 18 children between them and their two families have been thriving on the Trim Healthy Mama plan for years. Trim Healthy Table contains all their best tips, tricks and encouragement for families, whether large or small. Serene and Pearl shamelessly share cunning ways to get picky eaters gobbling down veggies and other healthy foods they usually detest. You will learn how to painlessly use whole, unprocessed foods, including blood-sugar friendly carbs, fats, proteins, fruits and vegetables to create meals even the fussiest kids (and husbands) will love. You’ll also learn how one basic meal can make a whole family happy even with different nutritional needs. The quick and easy recipes include lots of one-pot dishes such as, skillet meals, slow cooker meals, electric pressure cooker meals, casserole and soups. With the recipes you can wake up to hearty breakfasts, prepare bars for on-the-go or try a creamy, quick-to-make smoothie, even Indulge yourself with the many trimming desserts…cake for breakfast is celebrated! And, if you’re simply looking for single serve 5 – 10 minute meals, the “Hangry Meal” chapter has you covered. In addition to the hundreds of recipes, included is a “Simple Start Guide to the Trim Healthy Plan” which concisely explains how you can trim down by getting your blood sugar under control and how to, ever so gently, help other members in your family who may be struggling with weight issues. So, gather your family, bring them to the Trim Healthy Table… eat up… and trim down! 1 16-oz jar salsa verde (hot, medium or mild) *Kari’s notes: we used mild! 1 10 oz can Ro-tel style diced tomatoes and green chiles (medium, hot or mild) *Kari’s notes: we used mild! 1 10-12 oz bag frozen small-cut seasoning blend (see p 35 in book) *Kari’s notes: we had to buy fajita vegetables rather than the small cut seasoning blend. If you read the recipe in books (or on PDF CreamyVerdeChickenChili pdf it says on the referenced page that it’s the same thing — just sliced differently. So I bought the fajita veggies and cut them into smaller pieces while frozen. 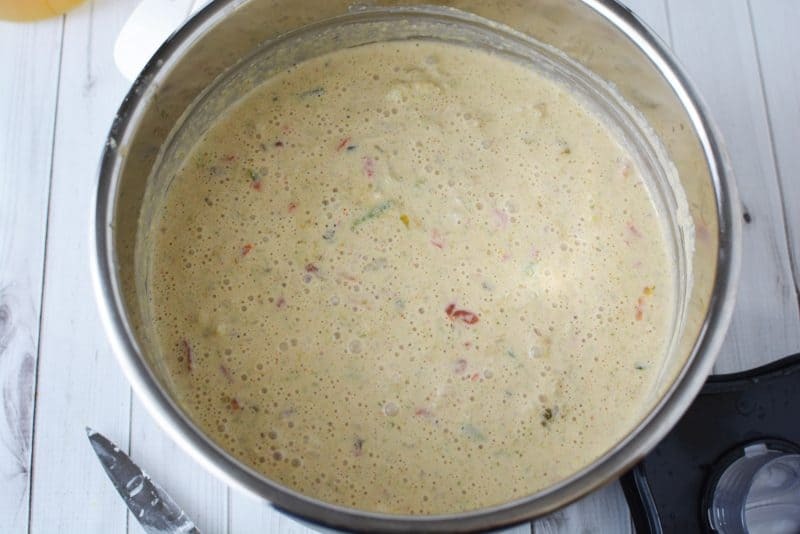 Put cream cheese, okra, 2 c of the broth, salt, cumin, chili powder, onion powder & garlic powder in a blender and blend until smooth. Blend till no green specks are left! Add contents of the blender to the Instant Pot along with remaining 1 cup broth and stir. Seal & cook at high pressure for 25 minutes. Serve with baked corn chips, top with a light shredded cheese. 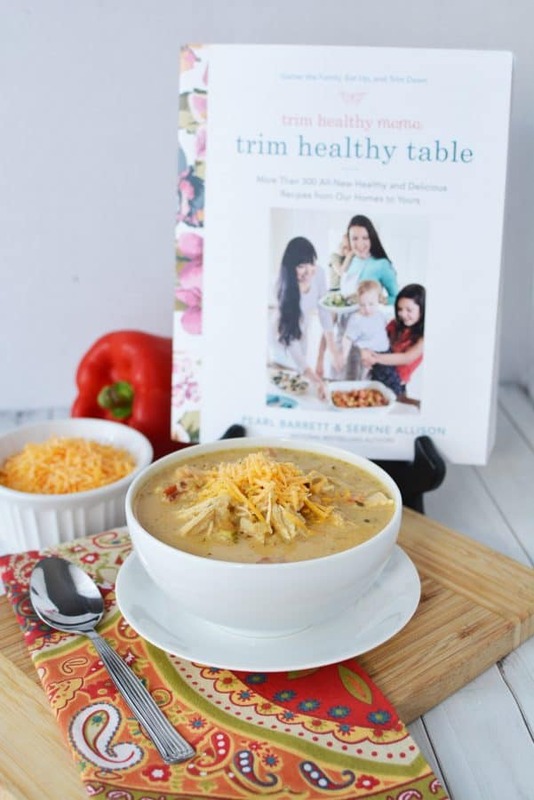 ENTER TO WIN A COPY OF TRIM HEALTHY TABLE FOR YOUR HOUSE! ENTER ON THE WIDGET BELOW. Been wanting to get their new cookbook and had heard there were lots of recipes for the instant pot. There is a lot of great recipes. All the recipes looked good, especially the volcano mudslide muffin. I like the Trim Taco soup recipe! I learned that THM has a free weekly podcast. I learned they have a lot of good looking recipes! Nice shop too! I learned that you don’t need specialty ingredients although the answer then goes on to mention glucomannan, which sounds like a specialty ingredient to me. I don’t have an instant pot, but I imagine this can be done in a crockpot as well? Just a little bit longer? Looks sooo good though! I learned that they don’t use milk and honey on the plan, because cutting it out aids in getting healthy and fit. This looks and sounds like a delicious recipe! I love that cookbook! 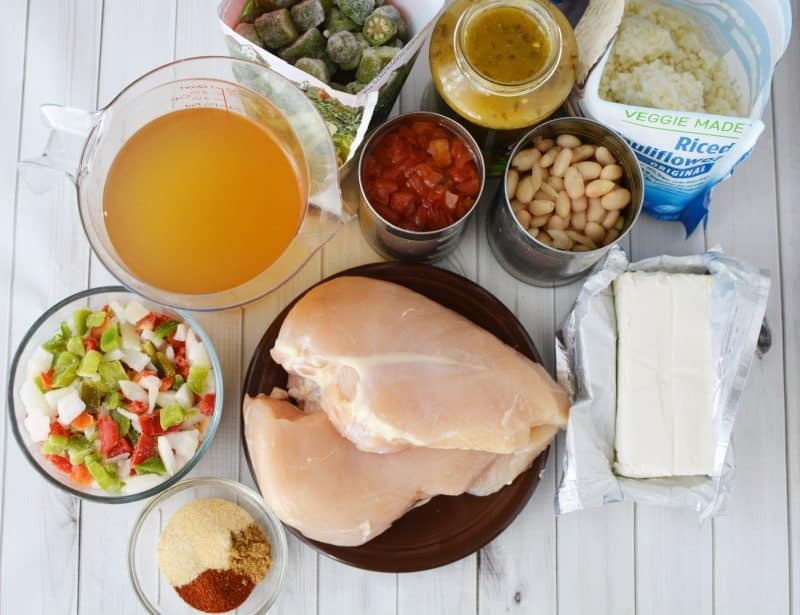 We have it too and prepared the Chicken Fajita Soup Recipe! Yummy!!! Oh my YUM! That looks so good I would love to have a bowl right now. 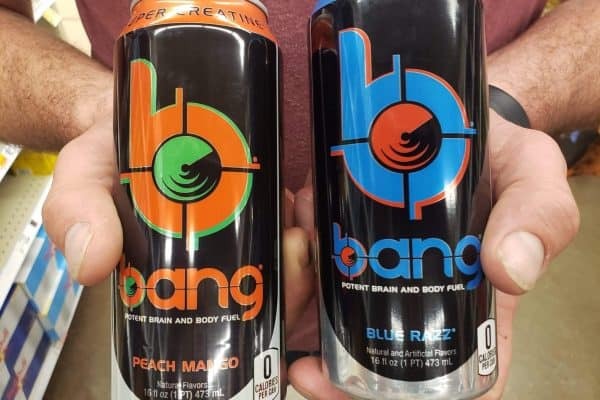 I bet it tastes fantastic! I love this recipe. Verde chicken chili sounds like such a delicious meal. I have to get an Instant Pot!! This cookbook looks fabulous! I love making soups in my Instant pot. I have yet to try an Insta Pot. Is it like a Crockpot but cooks quicker? I think I want to make this recipe today, I know my husband would love it. That looks absolutely amazing and it’s perfect for the weather as well. I’m sure my kids will love it, not to mention that it’s chicken which is their fave! 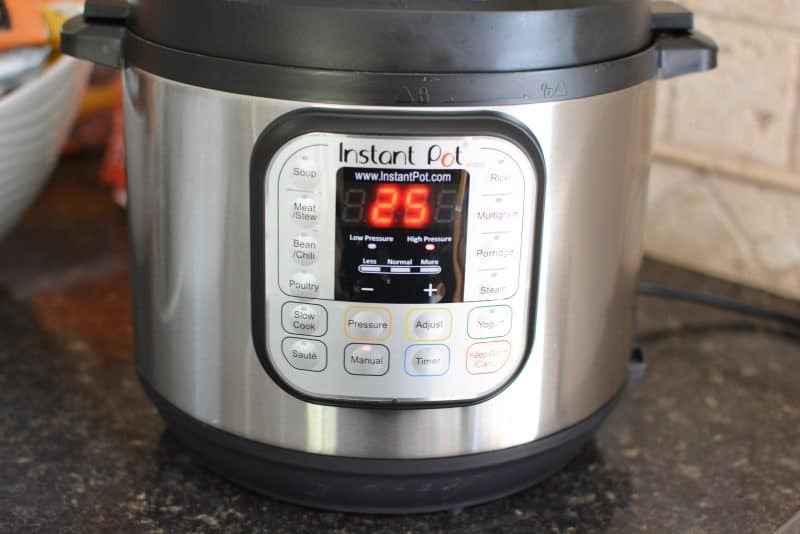 I love cooking using my instant pot as well, it’s easier! I LOVE chicken chili!! This recipe looks really good and just may be what makes me buy an Instant Pot!! We make chili just to freeze for emergency meals every month. It would be nice to try this instead of our usual recipe. This recipe looks yummy! I love how simple the ingredients are, yet healthy and easy to make! This recipe looks SO GOOD! I do not have an instant pot but want one. I love creamy dishes! 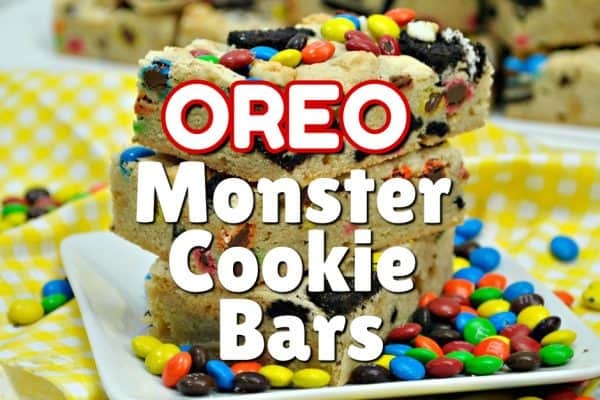 I will make this soon! Sort of drooling over it here! 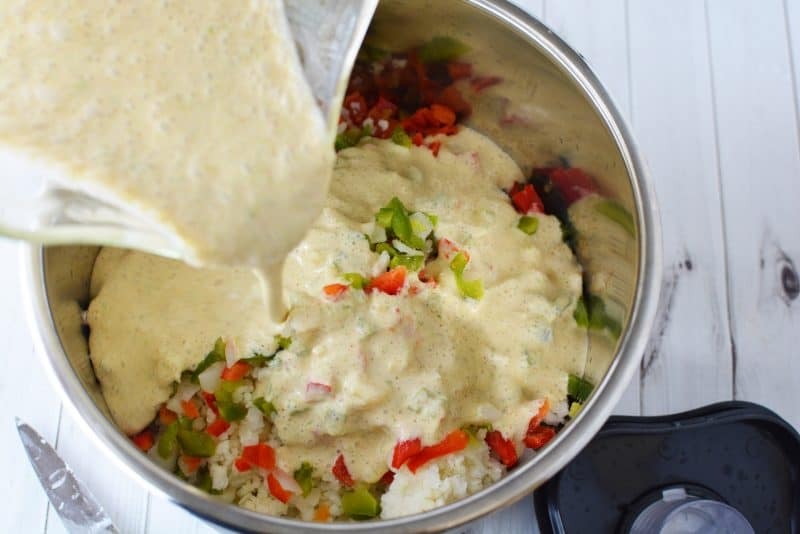 I am a soupaholic and chili – especially white chili – falls into that category. As I read the ingredients list my mouth started watering. I cannot wait to try this! I love how easy this is and because I have an instant pot I am totally going to do it. Soup in the fall and winter is probably my favorite meal. I just found a new recipe for my Instant Pot! This looks so, so good. The Instant Pot has changed my life, and I love finding new recipes for it. This dish sounds fantastic and super easy to whip up too! 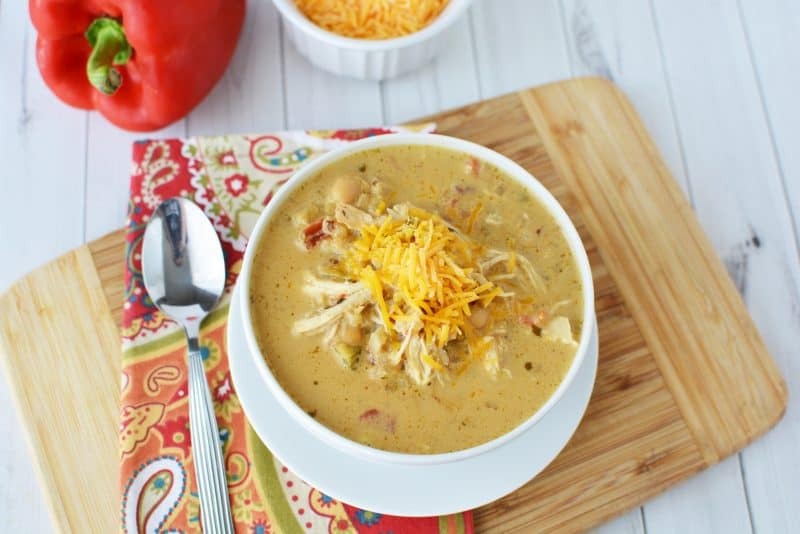 I am all about rich, hearty soups and chilis during the fall and winter months.